I think many of you who read this blog have waited with anticipation for the movie The Great Gatsby to start showing this year. The movie takes place in the 1920s, and will be full of amazing costumes - and jewelry! 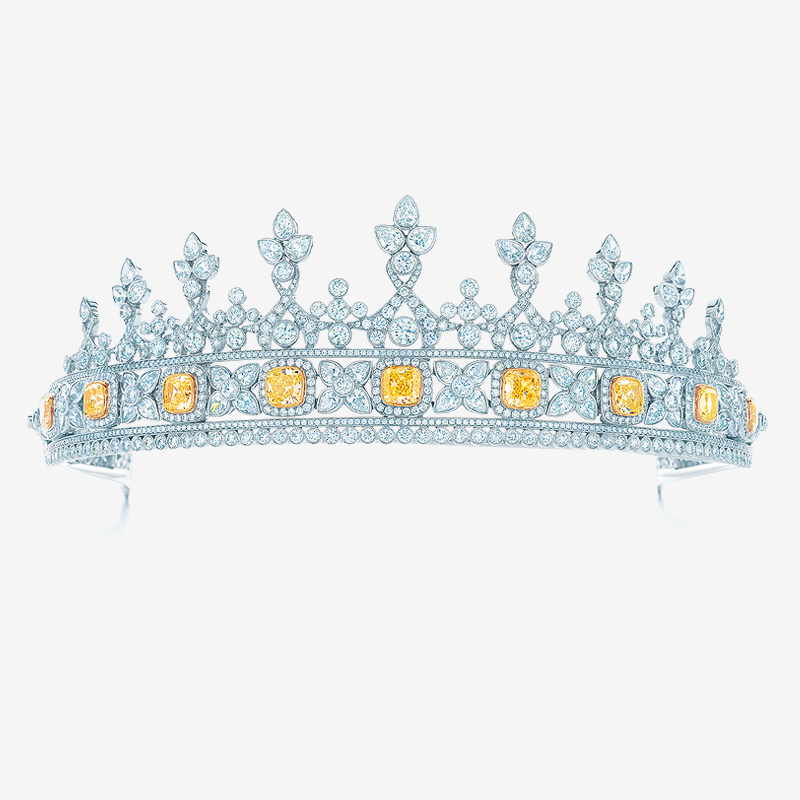 These jewels have been created by none others than Tiffany & Co. 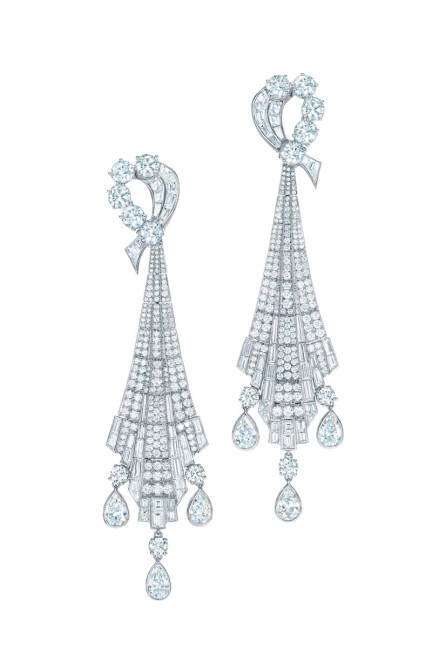 The good news are that these sparkling pieces haven't been made for the movie alone, but are part of Tiffany's The Great Gatsby Collection, and can so be bought! 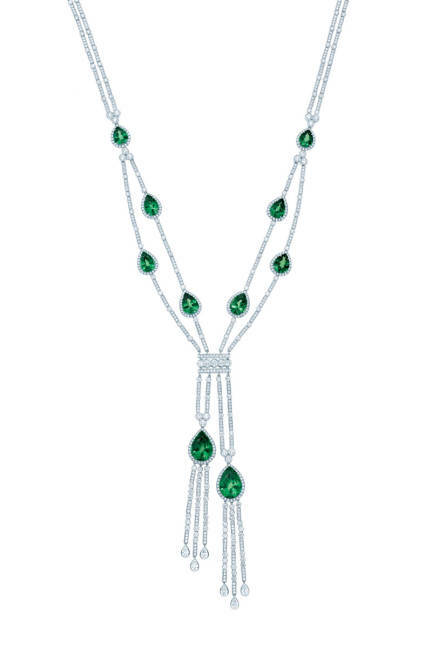 Together with the company's release of it's latest Blue Book Collection - which is also inspired by Art Deco and the Great Gatsby - anyone (who can afford it) can feel like the ultimate flapper girl! Here are a few of the pieces from the collections. 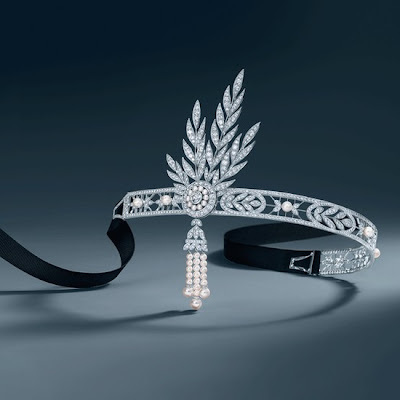 The Savoy headpiece, with diamonds and freshwater cultured pearls in platinum. 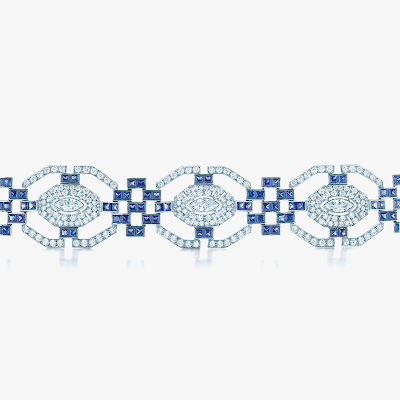 The aigrette can be removed and used as a brooch. The 200,000 USD. The Great Gatsby Collection. 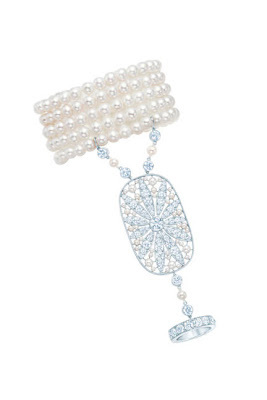 Hand ornament with a daisy motif, made with diamonds cultured pearls and platinum. 75,000 USD. The Great Gatsby Collection. 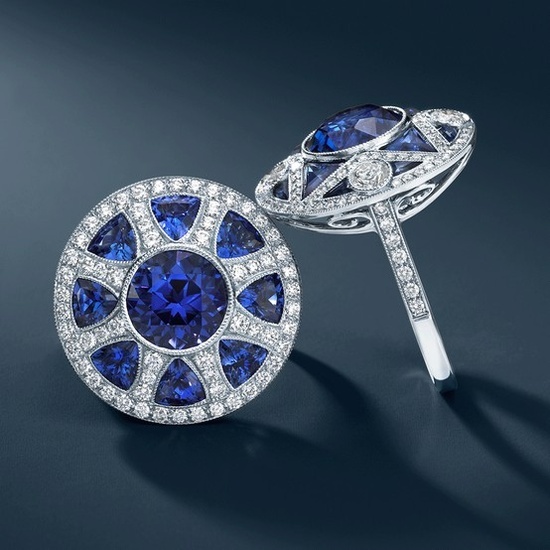 Art Deco-inspired ring, with tanzanites, diamonds and platinum. 25,000 USD. The Great Gatsby Collection. 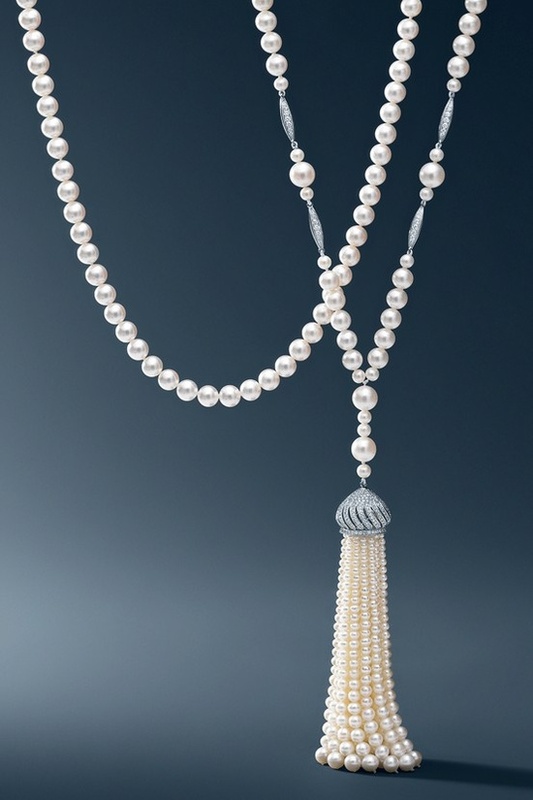 Pearl tassel necklace, with pearls and diamonds. 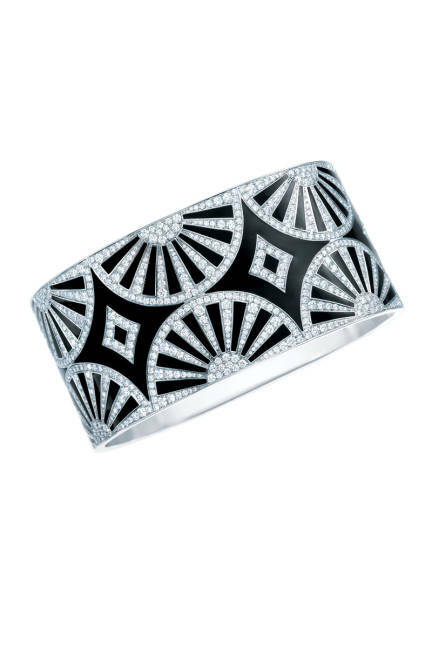 The Great Gatsby Collection. Bangle with fan motif of diamonds on black lacquer and platinum. 140,000 USD. The Great Gatsby Collection. 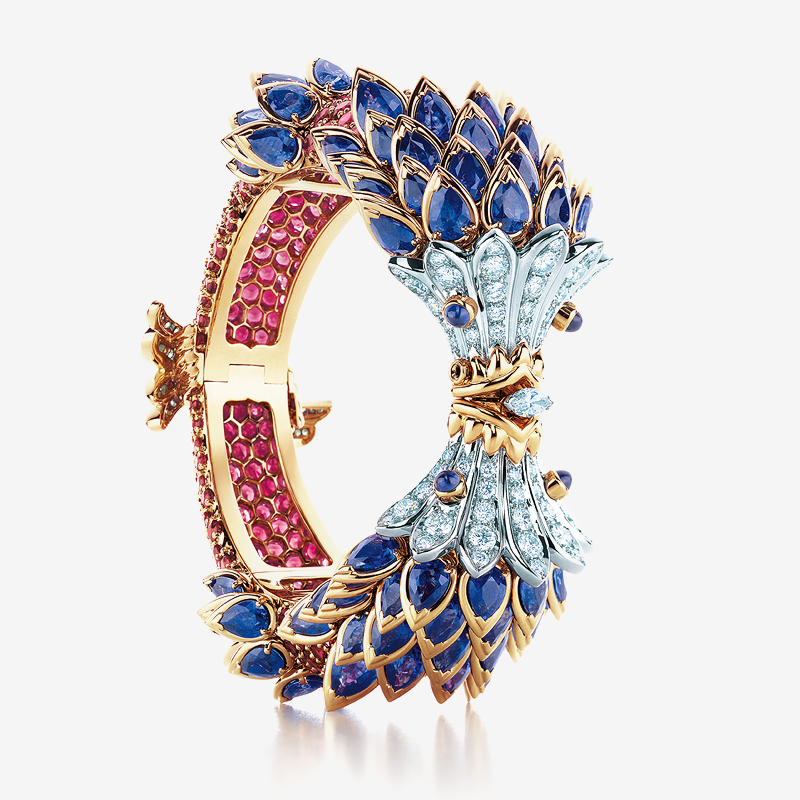 Two Fish bracelet in platinum and 18k gold, with sapphires, red spinels and diamonds. 350,000 USD. The Blue Book Collection. 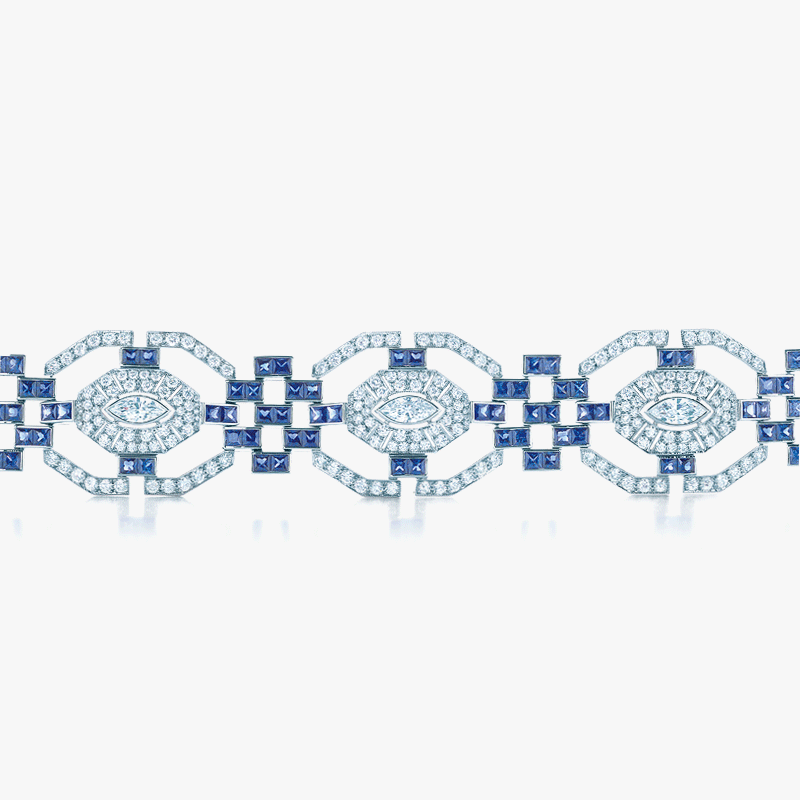 Bracelet with pavé diamonds and square-cut sapphires. The Blue Book Collection. 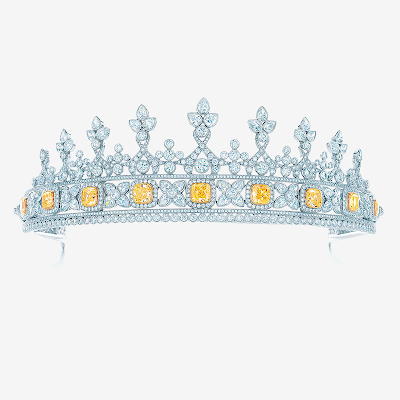 Platinum tiara with diamonds, which incorporates a detachable bracelet set with nine Tiffany Yellow Diamonds in 18k gold. 335,000 USD. The Blue Book Collection. 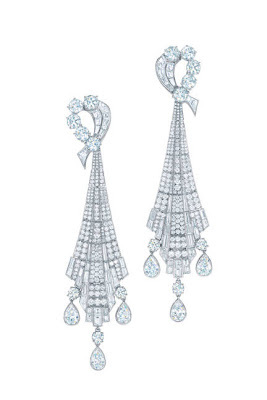 Diamond drop earrings. 140,000 USD. The Blue Book Collection. 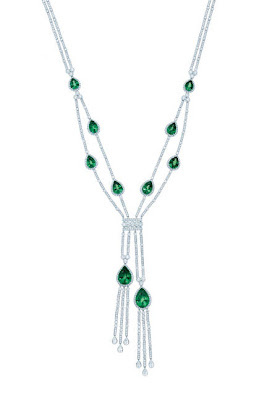 Necklace with tsavorites and round and pear-shaped diamonds in platinum. The Blue Book Collection. 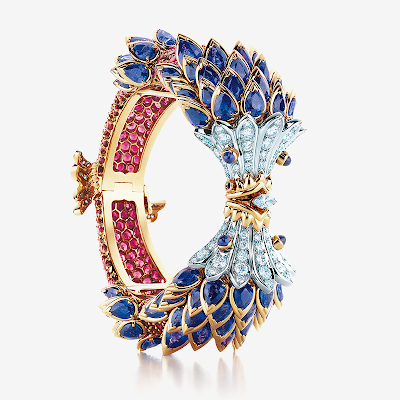 stunning pieces...I cannot wait for the film, I have a feeling they have done a good job. I love this idea Miss Meadows for the Great Gatsby and Tiffany to link up, the film is going to be pretty exciting too, I'm looking forward to it!